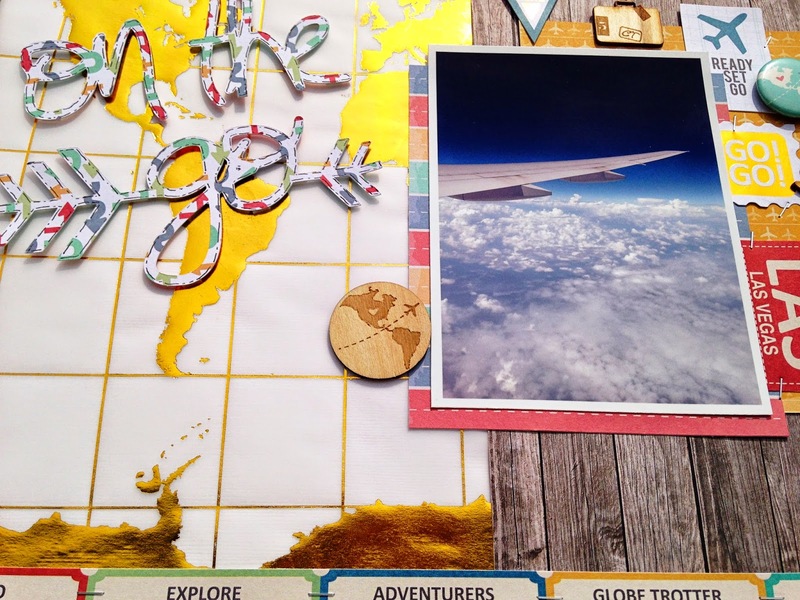 Today I have a layout to share with the Chic Tags Let's Go collection. I wanted to challenge myself by using the vellum sheet with the golden map, as I find it so hard to use gold and there is a lot of it on this vellum. 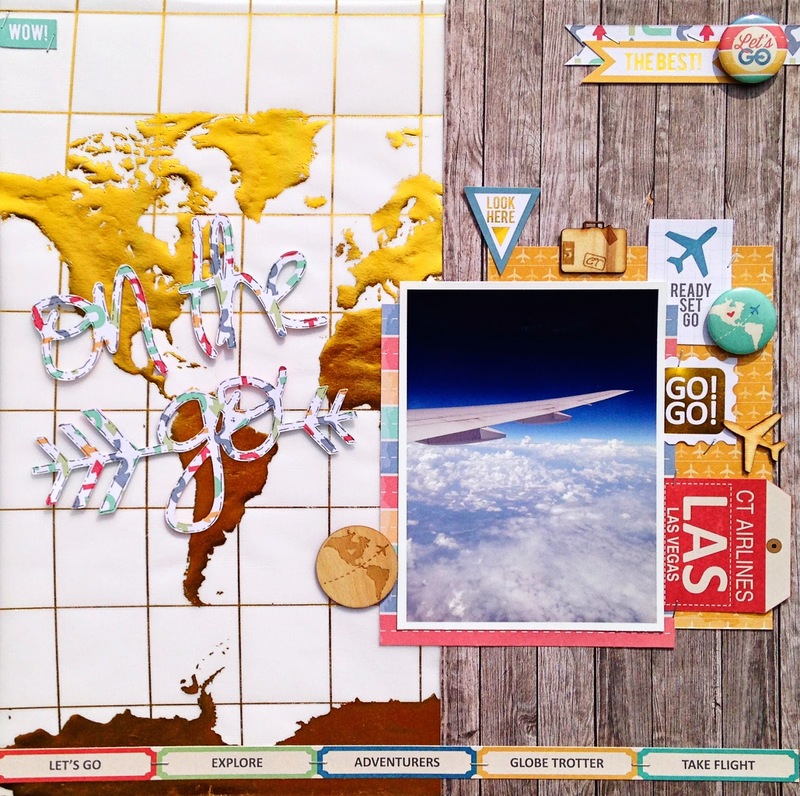 My title is made with the Travelin' On cut file from The Cut Shoppe. You can still shop with a 40% discount at Paper Issues, but hurry today is the last day!! Use code MAKEROOM at checkout. I love love love love this! LOVING what you did with the map paper!!!! 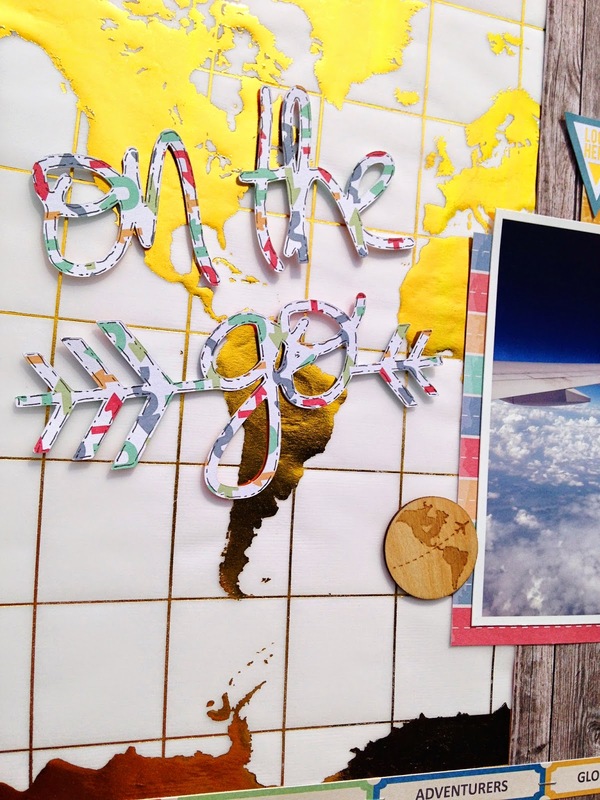 I love what you did with the map paper, Danielle! These types of papers always stump me but you always work them so perfectly! 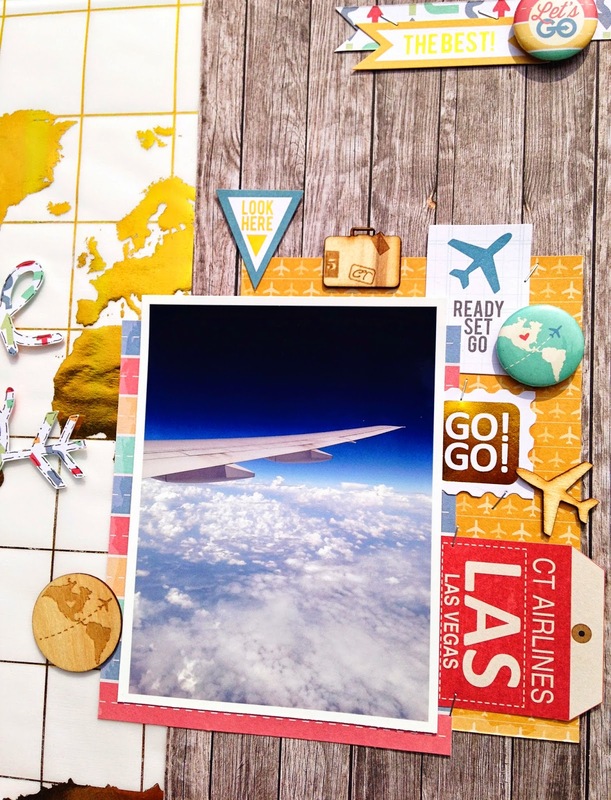 Awesome layout to go with your great photo, Danielle! Love the cut file as your title and your use of the Chic Tags collection!! What a cool page, love the wood grain with the gold vellum map!